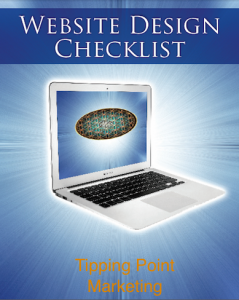 Download these FREE Marketing reports from Tipping Point Marketing by clicking on the images below. They cover some of the areas we commonly find that businesses are getting their marketing wrong. These problems are usually caused by lack of knowledge about marketing or just bad advice from kids working in their parents basement pretending to know what they’re talking about. Learn how you can become the dominant force in your industry in your local area in just one year. It’s not complex but it’s also not easy unless you know what you are doing. Hint: It’s about more than mere sales copy and click rates. Are you making these needless mistakes with your videos. 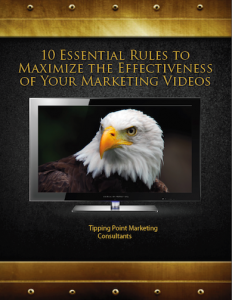 Read this free report and eliminate those silly errors and watch your video marketing become more effective. Many businesses are the victim of bad web design. It’s not your fault. You’re not a web system designer. The rules of web design have changed and who ever did your web design probably doesn’t know this or can’t be bothered to tell you. 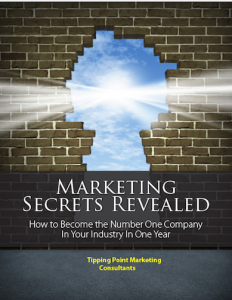 These reports will show you how you can vastly improve your marketing clout.